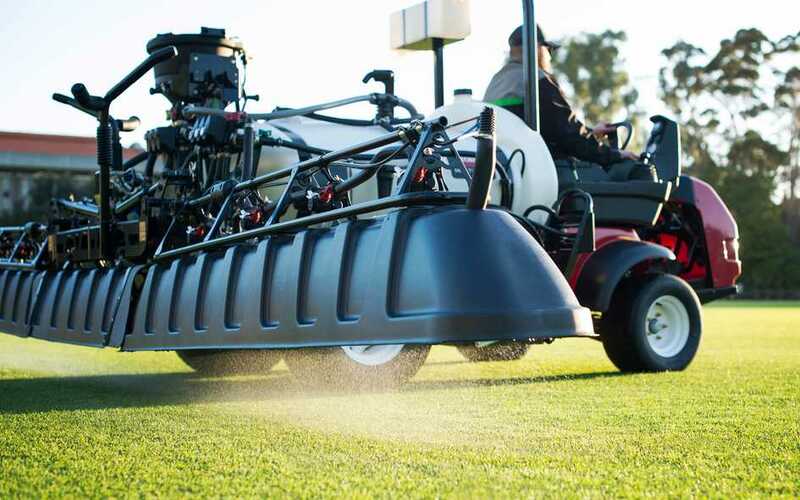 We achieve optimum health and growth of elite sporting surfaces with more efficient, targeted and safe processes including shrouded booms and GPS guided applications. We have a well-earned reputation for safe and precise spraying to achieve optimum health and growth of turf sporting surfaces. Our processes include shrouded booms to contain chemicals and GPS guided applications to increase accuracy and minimise waste. Spraying turf sports surfaces includes the application of pesticides, liquid fertilisation and wetting agents. Our spraying services include broad acre and confined area pesticide, wetting agent and foliar fertiliser supply and application to sports fields, public open space, kerb lines, road verges and environmentally sensitive areas. We understand the need for regulations when applying chemicals and adhere to all requirements under the WA Health Act as well as considering the environmental impact when providing these services. When the safety and compliance is taken care of, we pride ourselves on our ability to offer unrivalled service with versatile and efficient spraying schedules that are delivered on time and budget.